I think this is something quite new in the community as I haven't seen this before..but I could be totally wrong of course. These are animated + glowing wallpapers! And in this case there are stars on it. 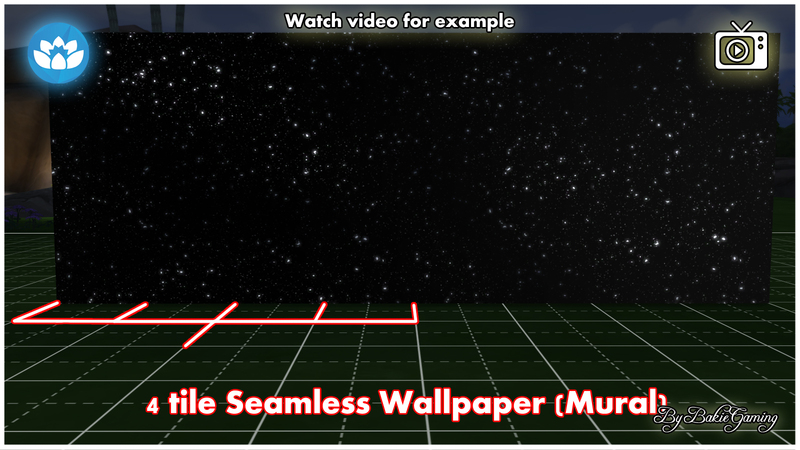 You can't really see how this will look in game by looking at the images, so watching the video is highly recommended. 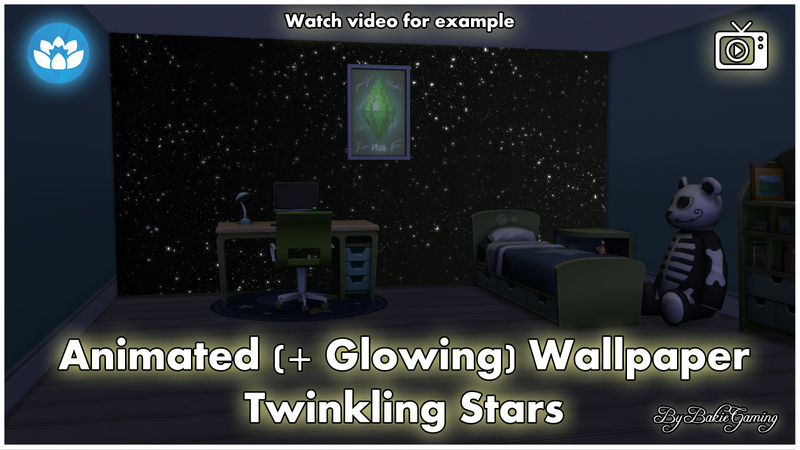 Animated Twinkling Stars Floor Tile - YouTube Exclusive! Spa Day Game Pack required. It's a standalone object, so it won't overwrite any other objects in game. You can find this wallpaper under Built mode > Wallpapers >Misc OR type Twinkling into the search bar. You can recognize it by my "BG logo" icon in the lower right corner of the thumbnail. I Hope you like it and will give me some credit if used in screenshots or videos! Besides giving me credit and linking back to this page, I would appreciate it if you could add my video too instead of (only) the thumbnail. Alhambra Moorish Arch, 2 colors.